The First 300 is an ambitious three year community project. 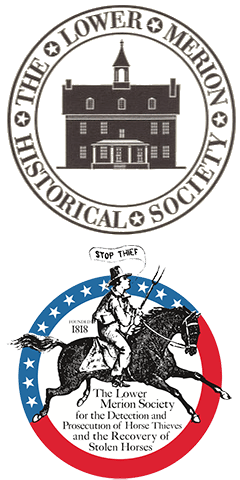 Initiated by The Lower Merion Historical Society, the book has involved not only its members, but a cast of over 50 historians, educators, archivists, artists, photographers and just-plain-folks. The First 300 presents a panoramic view of the human history of a special Pennsylvania territory. I thank all of those who worked with me to devote their skills, their time and their energies to further the Society’s mission: Preserving our past for the future. To W. Robert Swartz. A former President of The Lower Merion Historical Society, Bob operated a popular photo shop on Lancaster Avenue in Ardmore for 49 years. He soon began adding pictures to the Society’s archives. Customers knew of his interest in visions of yesteryears and would loan photographs for Bob to copy. The collection grew to thousands of pictures. Those images, and others, formed the basis of our local history as seen through the lens of a camera. by The Lower Merion Historical Society. Distributed by Diane Publishing Co.
No part of this book may be reproduced or transmitted in any form or by any means, electronic or mechanical, including photocopy, recording or any storage or retrieval system now known or to be invented, without permission in writing from the publisher, except by a reviewer who wishes to quote brief passages in connection with a review written for inclusion in a magazine, newspaper or broadcast.